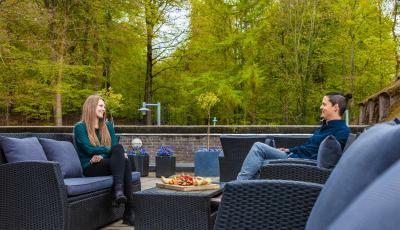 Lock in a great price for Helnan Marselis Hotel – rated 8.4 by recent guests! Nice room with lovely view of the bay. Good breakfast. No room A/C, and as night was mild, we had to open sliding glass door, which I don't care to do, for security reasons. 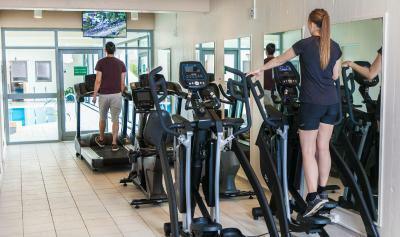 Hotel is large enough to accommodate groups, which makes it potentially busy and impersonal. It is a 10 minute drive to city center, but parking is not easy. Be careful to check parking signs as the city is ticket-happy. 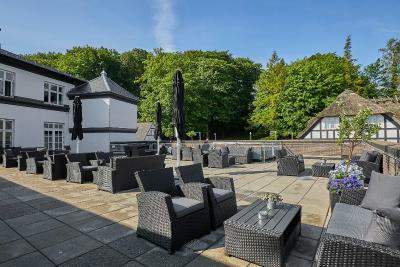 Stunning view, excellent food, and lots of comfortable space to relax. The breakfast that was included in the price of the room was excellent. View from our room, very comfortable beds and nice location on the beach. The location is perfect. 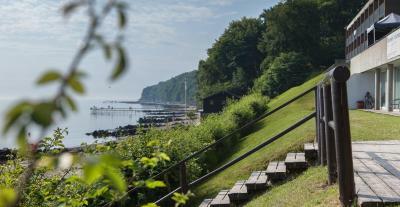 Close to city center, ferry, and even a lovely park to walk just behind the hotel. The Royal summer retreat is also within walking distance. Beach, sun and fun. Great rates, and great service! Highly recommended! Location was great. Beautiful view of the ocean, and just a short walk to a beautiful park. The ocean view was stunning. Floor to ceiling room-width sliding glass doors offereded an expansive water view. We kept the door slightly open so that we could fall asleep to the sound of the waves slapping the beach thirty feet below us. We watched ferries, freighters, and the rhythmic flashes from a lighthouse in the distance. 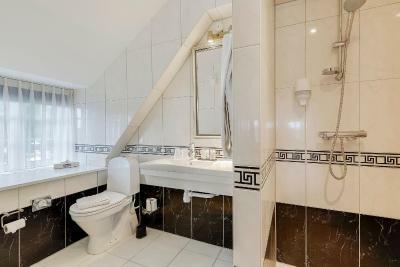 The room was spotless and tastefully furnished. The warmth of the tropical hardwood cabinets , flooring, and furniture was unusual in Scandinavia. An unexpected bonus was feeding the deer at the deyr havn a few minutes south of the hotel. The deer are accustomed to human contact and eageely seek apples and carrots. 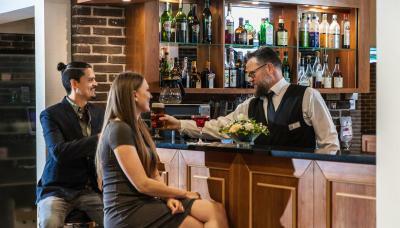 Helnan Marselis Hotel This rating is a reflection of how the property compares to the industry standard when it comes to price, facilities and services available. It's based on a self-evaluation by the property. Use this rating to help choose your stay! 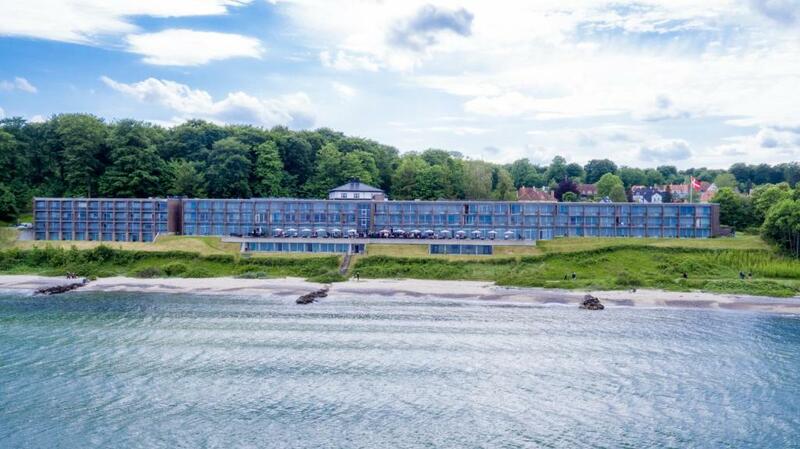 One of our top picks in Aarhus.Overlooking Aarhus Bay and the Kattegat Sea, this hotel has a fitness area, sauna, small indoor swimming pool and free Wi-Fi. 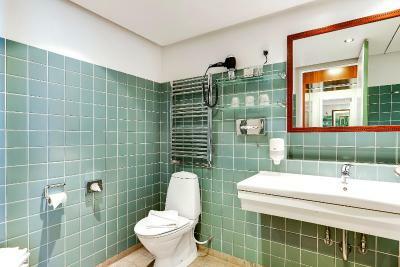 Helnan Marselis Hotels rooms are located in the main building or in an annex. Each has a TV and private bathroom. 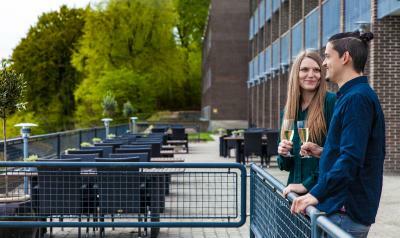 Restaurant Marselis offers a seasonal menu and features great views of Aarhus Bay. Tivoli Friheden amusement park is 1.4 mi away. 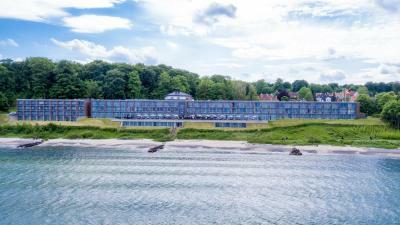 Helnan Marselis Hotel is 15 minutes walk from Marselisborg Castle and 10 minutes drive from Aarhus city center. When would you like to stay at Helnan Marselis Hotel? 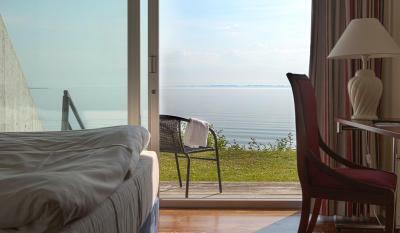 The room has a sea view, small balcony or terrace and an extra futon bed. This room includes separate room with seating area and dining area, TV, coffee/ tea maker and small refrigerator. The room has a sea view and two small balconies. This room includes seating area and TV. The room is located in an annex. The room has a view of the forest. Includes a seating area and TV. 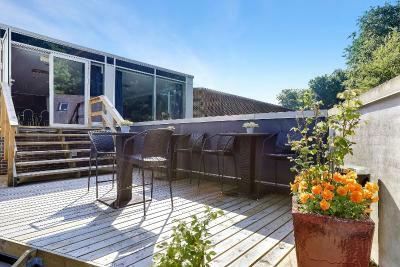 The room has a sea view and a small balcony or terrace. 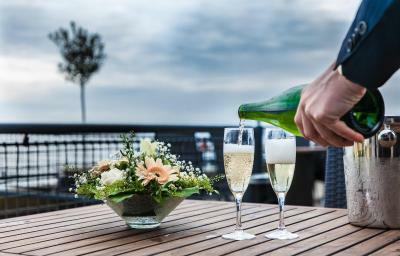 House Rules Helnan Marselis Hotel takes special requests – add in the next step! All children under 12 years are charged DKK 200 per night for extra beds. 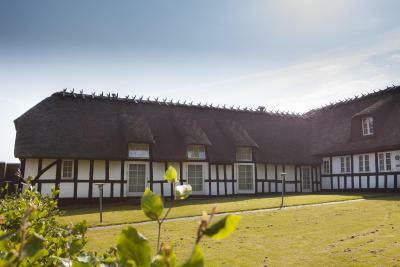 Any additional older children or adults are charged DKK 300 per night for extra beds. Other Helnan Marselis Hotel accepts these cards and reserves the right to temporarily hold an amount prior to arrival. Helnan Marselis Hotel accepts these cards and reserves the right to temporarily hold an amount prior to arrival. Restaurant opening hours vary during the holiday season. Please contact the hotel for more information. Please note that GPS coordinates are not always accurate for this area. You should use the following address: Strandvejen 136. Alternatively, you can contact the hotel for directions. There was one odd thing for us, unbelievable it may sound, the scrambled egg tasted sweet. We have given it another try the next morning, thinking it might just have been a coincidence, but it still tasted sweet. We love the location of this hotel, this was about the 5th time we have been here. It is easy to find a parking space, and takes only a few minutes to check both in and out. The staff is very friendly and helpful. We have had a small problem with one of the light switches in the room and we immediately got another room, even though the hotel was almost fully booked. Good selection of food for breakfast. And there is plenty of activities, programs to find nearby. Hotel parking has to be payed in addition. It's a bit expensive. Roadside parking at the Hotel free of charge is possible. The evening meal was disappointing;limited choice and not well prepared. 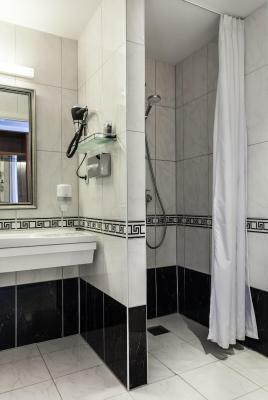 Fantastic location,large rooms and big cosy bed.Great shower and breakfast was amazing. 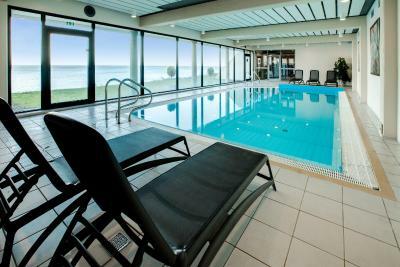 Rooms had access to a balcony overlooking the sea and there was a sauna and small swimming pool down stairs. Free coffee was available in the lounge. Location and view from room and restaurant. Great hotel with a beautifull view from the room. Perfect vicinity for joggers and bikers. 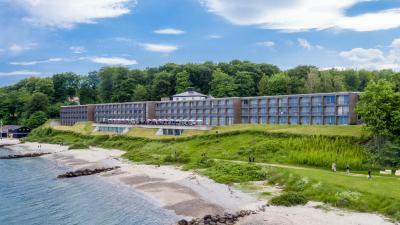 Should I return again to Aarhus, then my choice will be Marselis hotel. My full recommendation. ı parked my car at gotel parking area but ı have informed by hotel receğtion ı had to park outside if ı don't want to pay car parking fee. there were no writen notice at parking area . Dinner was at hotel restaurant is not pleasent time for me , you need to wait at least 45 min for one soup . hotel rooms corridors are smelling fryed food ..
location was good and rooms very cosy . breakfast was good , artmosphere of hotel was general good. I liked the room which I had during my previous stay. This time the room quality was very poor. The cleanliness ; and the fact that the receptionist always asks for a 500DK safety when booking, even if the chamber was pre-paid!! I find it irritating. Good Breakfast. Excellent location. Quiet hotel.